Indmax IT Services Jobs opening 2018-2019 for Technical Support download application At. Indmax IT Services walk-in for Technical Support has invited applications from interested, eligible candidates to fill in the vacancies Interested candidates can apply on through official website www.indmax.com. who have not applied until now can follow the instructions below and apply Online. 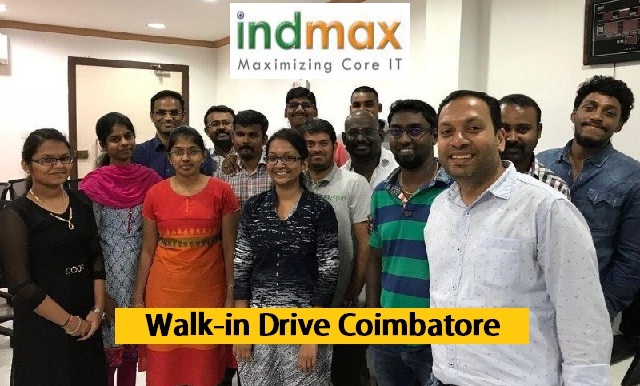 Indmax IT Services Walk-in Drive System Administrator @ Coimbatore. As a cheerful coincidence, 2008 is a neon year for both the Cloud and Indmax. It is the year in which the steep upswing in distributed computing started and also when we began providing managed IT services. Our participation in the evolution of the Software-as-a-Service industry gave us the opportunity to experience both the pains as well as the gains, enabling us to quickly align our offerings with SaaS market requirements. To advance this evolution we continue to acquire expertise in technologies crucial for the SaaS domain, developing and delivering services from the SaaS providers’ viewpoint. 2015/16/17/18 Passed outs are eligible to apply. Candidates must be trained or certified in Linux(RHCE/RHCSA). Excellent communication skills and Logic ability. Zeal to learn and acquire skills.